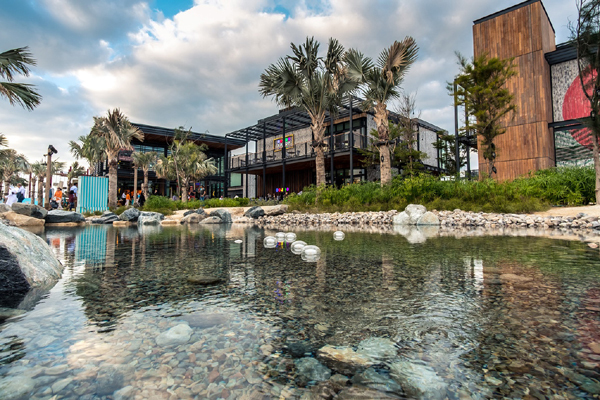 La Mer, a premium beachfront destination by leading UAE developer Meraas, has added 25 concepts to its host of retail and dining outlets this year, bringing the total number of open outlets to 71. Located between Pearl Jumeirah and Jumeirah Bay, La Mer offers a mix of dining, shopping, leisure and entertainment experiences for the entire family to enjoy. Comprising three areas – La Mer South, La Mer North and Laguna, the venue houses 120 shops, cafés and restaurants, with 71 outlets currently open to visitors, stated the developer. The destination is built around 2.5 km of pristine sandy beach, spanning 13.4 million sq ft of existing and reclaimed land. The new offering includes innovative F&B (food and beverage) and retail brands that contribute to the overall vibrant atmosphere of the location, creating a unique experience for visitors, said the statement from Meraas. Seventeen new eateries have expanded the range of exotic cuisines from around the world available at La Mer. Among the additions are the P F Chang’s that serves Chinese food the American way, legendary steak restaurant Texas Roadhouse, Roman-style pizzeria Alice Pizza, French deli Pomme de Pain, Five Guys, the American fast-casual burger restaurant, and Kaftan, the renowned purveyor of traditional Ottoman and modern Turkish cuisine. The recently open AçaiXpress offers guests healthy options, and incorporate the Brazilian acai berry into its menu, it stated. "Meanwhile, Dubai’s culinary connoisseurs can sample Asian food with an Emirati twist at Street Style by Gossip, try new flavours of bubble tea at Booba, or enjoy a quick bite at one of the new urban street food outlets including Pretzel World, Roti Rollers and The Chickery. Sports fans can enjoy live game coverage and unique American cuisine at Stars N Bars," said a company spokesman. La Mer also has more in store for those who wish to indulge their sweet tooth – from Creptastic with its unbeatable selection of crepe flavours to HEIK Knafeh Culture that offers an unconventional take on knafeh, the Middle East’s favourite dessert. In addition, The Inventing Room enchants the mind and tantalises the taste buds with flavoursome ingredients, such as exploding whipped cream and burnt marshmallow fluff, prepared using liquid nitrogen, while Tart Bakery, Dubai’s new patisserie invites guests to experience and appreciate the art of tart. Vicens also opened its doors at La Mer, bringing its long nougat traditions to the city, he stated. "La Mer takes its inspiration from the sea and hence water play and beach activities are central to life at the destination, as is evident from the sunloungers spread across the sand, cosy palm tree-shaded day rooms and wide variety of sports equipment available for rental," he explained. "Further upping the fun quotient at this aquatic destination, La Mer is home to Hawa Hawa – the first inflatable playground of its kind outside East Asia, featuring two dune-shaped domes and seven peaks. Meanwhile, the upcoming Laguna Waterpark will comprise water slides among a raft of attractions for adults and children," said the spokesman.